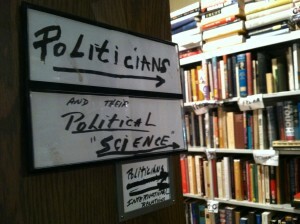 Picture taken at Capitol Hill Books–a local institution with just the right amount of attitude. Nicholas Kristof’s call in yesterday’s NYTs for scholars to contribute in ways that matter to today’s “great debates” hit a nerve. The best response so far is Cory Robin’s post in which he refutes much of what Kristof says by highlighting great contributions by established scholars, as well as young scholars in the blog-o-sphere. Today Kristof responded to comments by upping the ante. Now it is not simply that academics are marginalized by an anti-intellectual American culture, while at the same time marginalizing themselves by failing to contribute to great debates in ways that appeal to wide audiences. It is also that academics do not serve at the pleasure of the President and no longer have the freedom to move back and forth between government and the Academy in the way the Kristof claims they did in the 1960’s. Aside from the fact that this picture of the 1960’s academic scene is positively dripping with childhood sentimentality, it is also a rather bizarre claim that such influence today does not exist given the revolving door between the current administration and university positions (David Axelrod now heads his own institute at the University of Chicago)–not to mention the reported growth in the number of administrators with little or no teaching or professorial experience. It is also true that there were plenty of scholars in the 1960’s that felt marginalized by Washington politicians. Hans Morgenthau, for instance, complains at great length in his text on the subject, Truth and Power. Nonetheless, there is some truth to Kristof’s notion of a “gap” between the kind of knowledge that the Academy values and what is required of individuals who wish to participate in larger political debates. Kristof is correct that the gap has something to do with the requirement to publish esoteric articles that conform to rigorous methodological standards, but not living in that world himself he knows little about the value of such work to those who produce it or what it means to negotiate that space. There is a significant amount of government and foundation money that is dedicated to bridging that gap, much of which exists thanks to the kinds of structural changes associated with the success of RAND and the growth of think tanks. There are also professors with a desire to increase their influence in this world who study what they can do to make themselves more relevant to the debates policymakers care about. This is the in-between world in which I have been living for the past couple years. I sought out this space in part because I wanted to ask and answer questions that contributed not only to academic debates, but also to contemporary political problems. I chose nuclear security studies because studying nuclear weapons and their exceptional relationship to political power allows me to place one foot in theory and one in practice. However, I also chose this space because I found the disciplinary politics around what counted as a legitimate methodology in Political Science too constraining–scholarly communities are called disciplines for a reason–stepping too far outside the boundaries will get you burned. My preferred methodologies are out of fashion in the United States because they are considered too “unscientific.” However, in the interdisciplinary world of nuclear security studies the presence of physicists as the ultimate arbitrators of what counts as scientific knowledge, combined with their frequent disdain for what passes as “scientific” in the realm of Political Science, opens up a space in which I have been able to operate. I have been on a personal quest to find my own political voice and figure out how to contribute to contemporary policy-relevant debates, but it hasn’t been easy. In January I started working for Senator Kirsten Gillibrand as an American Political Science Association Congressional Fellow. I figured the best way to learn to speak to policymakers was to live among them for a while. As a member of Senator Gillibrand’s legislative team I handle nuclear and cyber-related legislative activity. I wanted to live the experience of the Congressional process so that I could develop my own political intuition. After years spent in pursuit of the “life of the mind” at the University of Chicago, I had lost all common sense. When I picked up something and read it, what I thought mattered or should be considered a realistic policy response was completely different from what the people around me in DC picked up on. I often found myself thinking things like, “what I am missing” or “how could they possibly think that’s a good idea.” The people around me were operating with assumptions that I didn’t share. Grad school is an often brutal process of learning to question everything you thought you knew and replacing intuition with epistemologically sound methods of data analysis. These methods often include the translation of ordinary events and experiences, which may appear to be unrelated in their specificity, into abstract conceptual frameworks. Languages like mathematics or the “jargon” of critical theory allow those who master these frameworks to draw connections and reveal patterns that day-to-day descriptions obscure. Learning to reflexively question everything you think you know may be a necessary step in the transformation from being a consumer into a producer of knowledge, but it can have the side-effect of leaving one politically tone-deaf. A friend of mine put it to me recently like this: A PhD candidate in Linguistics is the last person you want proof-reading your essay because they have been so trained to deconstruct every aspect of grammar that they’ve lost their native touch. This is how I felt when I first started thinking about what it meant to write policy-relevant–or what might more accurately be termed politically-relevant–research. I had nothing to say that was relevant. My research either led to conclusions that were considered irrelevant because the recommendations for action were not politically feasible, or I had no way of mapping a general conclusion onto a specific event without feeling that I was being intellectually irresponsible. Who was I to make such a leap of faith from what I could claim to falsify to a speculative statement about a contemporary problem? (And as Dan Drezner reported in a blog post in 2010, there are those that feel that this kind of contribution should be accorded to the privileged few with tenure). Within the first week of operating in a congressional office I was cured of this ailment. Not only are the left and right boundaries of action clear once you are operating on the inside of a political operation, but understanding the way that information flows through Washington has provided me with a new sense of freedom. Everything that academics live and die by is completely irrelevant in these contexts, except that your status as an expert is what gets your foot in the door. What matters is that you are able use the critical thinking abilities that you gained in grad school to navigate this environment with a weird kind of x-ray vision. You can see deeper into an issue than many of your colleagues, but at the same time that ability matters less than timely access to sensitive information. Somehow this makes me feel more entitled to write freely in ways that my inner grad student would tell me were prohibited. Learning to translate one’s academic expertise into politically relevant knowledge is a different kind of project than the one that academics train for and the Academy values. It requires an individual to want to seek out and develop this extra set of skills. The fact that the academic job market is so much tighter than it was in the 1950’s (back then there weren’t enough people to fill the posts; now there are hundreds of applicants for every tenure-track position) likely makes the disciplinary politics around methodological debates event more brutal than before, but there are also many more people with PhDs who are just as smart or smarter than the professors in the Ivory Tower contributing to public debate. The price of my current privilege is that my academic and intellectual agenda has to take a back seat to political necessity. Weighing in on the debate about Iran sanctions legislation or the upcoming Quadrennial Defense Review is not an option, so I won’t be posting much–at least until my fellowship is over. 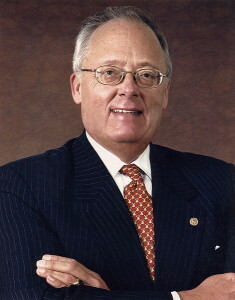 The American Political Science Association runs a fellowship program that funds political scientists to work on Capitol Hill for a year as a legislative assistant in the office of an individual member or committee. As part of my quest to understand what it means to do “policy-relevant research” I’ve accepted a fellowship position for this academic year. I figure that if you want to learn to talk to policy makers the best way to do that is to become one–listen to the way they talk, what questions they ask, what matters to them and why, and then practice doing those things yourself so that you develop an intuitive sense of how to negotiate that space where policy meets politics and ideas get translated into laws. In 1971, [Edwin Feulner] and Paul Weyrich were two Republican Hill staffers who witnessed President Richard Nixon’s plan to fund a supersonic transport plane defeated in the Senate. Two days later, the American Enterprise Institute (AEI), then the only conservative think tank in town, delivered a positive assessment of the plane. When Weyrich asked why the report arrived after the fight was over, the people at AEI told him that they didn’t want to be seen as influencing the vote. This, the story goes, was why Feulner and Weyrich decided to found Heritage: to influence the vote. It was also why their model focused on short backgrounders, rather than long reports, so that congressmen could get a quick opinion on their way to the floor. Unlike AEI or Brookings across town, Heritage set up shop on the Hill, down the street from Congress. And unlike AEI and Brookings, Heritage was not so much about exploring ideas as it was about pushing a political line. DeMint also brought in his own management lineup from his Senate days: Ed Corrigan, Wesley Denton, and Bret Bernhardt. 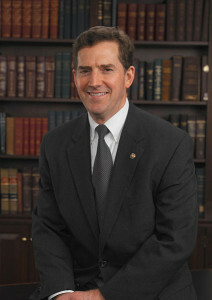 At Heritage, the three became DeMint’s enforcers. There is now a political check on all Heritage research papers to make sure they conform to the political and tactical line before they go out the door. 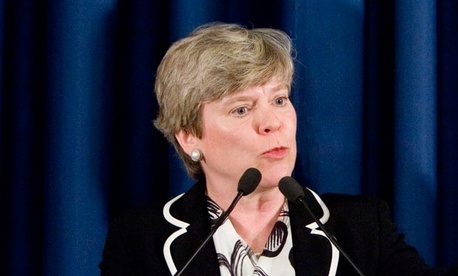 Corrigan killed one such paper, defending the law authorizing National Security Agency practices as constitutional, only to have the Brookings Institution, a relatively liberal think tank, publish it. Corrigan also put the kibosh on several policy papers on the implementation of the Affordable Care Act, including one by Heritage scholar Edmund Haislmaier about what states should do on Medicare expansion. Because the official Heritage strategy was now to defund Obamacare, any paper acceding to a reality in which the law existed was verboten. The scandalous Heritage report on immigration, co-authored by a scholar who had once claimed that Hispanic immigrants have lower IQs than whites, was also the product of DeMint’s approach: Policy analysts were shut out of the discussion, and the paper, which was written to conform with DeMint’s anti-immigration stance, did not go through the standard vetting procedure. Corrigan and three Heritage Foundation scholars met with our group. They were all white men that, with the exception of Corrigan who is quite striking with his pre-maturely silver hair (you can see a picture here), looked so much alike that I would not be able to pick them out of a line up (having failed to note their names, I actually went to the Heritage Foundation website to try and identify them from their photos and couldn’t do it). Washington etiquette, and the terms of my fellowship, prevent me from reporting the details of our discussion, but I can certainly share my experience of the event. Personally, it was excruciating sitting through the presentations from Corrigan and his colleagues, especially since many of their positions on civil rights are in direct conflict with my own interests and experience. And, I was not the only one squirming in my chair. Many of the questions my colleagues asked were vaguely, if not openly, confrontational. Initially I wanted to get up and walk out, but then I began to channel my anger into seeing this as an opportunity to learn how these Heritage scholars think about negotiating the boundary between politics and policy. They work at an organization that, unlike “liberal think tanks” such as Brookings whose policy analysts could, and do, make conflicting policy recommendations, is explicitly committed to conservative public policy. I wondered how self-aware they were about the epistemological implications of this position. On the one hand, what they are doing appears to violate the basic foundation of mainstream social science research in America, namely that the minimum standard of good research is not whether or not it accords with a set of values-based criteria, but rather that it must meet criteria of falsifiability. You have to be able to answer the question, “How do I know if I’m wrong?” On the other hand, there is something vaguely Marxist in their insistence that all think tanks have a political agenda. If all knowledge is value-laden, perhaps they could argue that they make their agenda explicit while others hide behind a veneer of objectivity. I decided to try and find out if they are as intellectually promiscuous as they appear. In spite of the highly unlikely possibility of hearing a defensible “Marxist” argument come out of their mouths, I wanted to ask my question in a way that gave them them just enough rope to either save or hang themselves. Already having been told repeatedly, and only half-jokingly, not to use words like “hypothesis” and “epistemology” in Washington, I asked, “If you are committed to a conservative political agenda, yet you perform fact-based research, what do you do with the data that does not support your political position?” After I finished the room fell silent and one of my APSA colleagues simply said “Boom.” Without repeating anything that the Heritage fellows actually said, my impression was that none of them had spent much time thinking about it. Corrigan offered a canned response that did not address the question at hand, but one of the Heritage fellows did appear to grapple honestly with the possibility that reality might diverge from his idealized version of it. It was as if the idea had never really occurred to him before, in which case he is not intellectually promiscuous at all. It’s worse: He’s a true-believer, fully committed to the cause. Monterey aquarium has a mesmerizing jellyfish exhibit, which includes the moon jellyfish pictured here. This species also happens to be the primary offender in the latest round of nuclear reactor shut downs in Sweden–Slate has a nice video explaining the problem and showing what these lovely creatures turn into after getting sucked into the cooling system of a nuclear power plant. I assume that the risk models used to manage reactor safety account for the jellyfish threat, which is really more of a nuisance that a calamity. 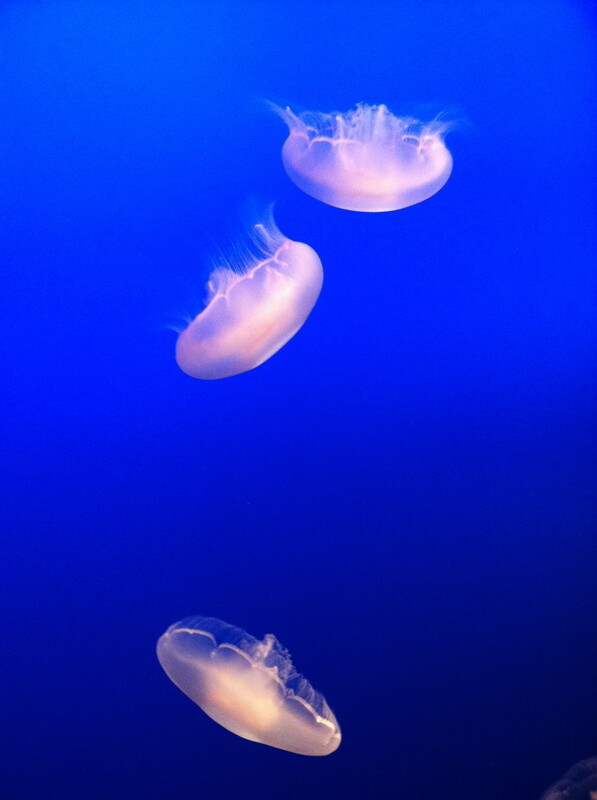 Nevertheless, this kind of event highlights one of the challenges of managing reactor safety in a rapidly changing climate environment–growth in invasive jellyfish populations has been linked to climate change. It also points to new kinds of trade offs. In case you haven’t been following the problem, jellyfish blooms also shut down beaches over the summer in Spain. 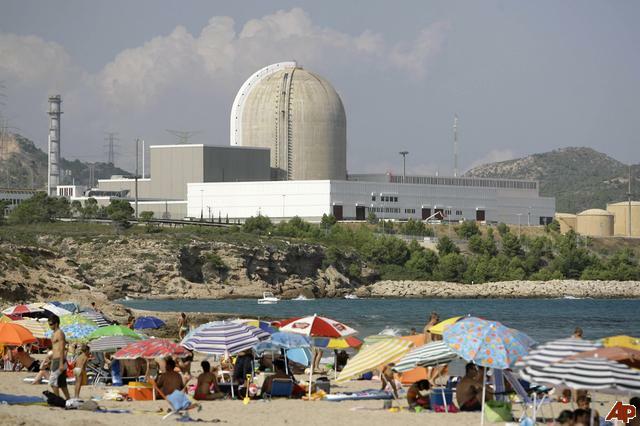 Spain has seven operating nuclear power plants, some of which are located on lovely beaches. There was debate about whether or not to renew the operating license for the Vandellos 2 nuclear power station in Hospitalet del Infant (pictured below), but currently it has been extended until 2020. Nuclear power plants are usually an unwelcome site on a beach vacation, but they are apparently also great for jellyfish abatement. It airs tonight at 9pm on the Canadian station CBC. Policy relevance is a term that is thrown around in academic communities that thrive on soft money. It is what you have to figure out how to be in order to receive funding–something that fewer and fewer of us who once aspired to the Ivory Tower lifestyle can afford to ignore as even those with tenure-track jobs are asked to bring in grant money. However, what exactly being policy relevant means is not always readily apparently if you believe, as I did, that it is primarily about arguing the merits of different policy options. When I first arrived in Washington DC a couple years ago, I had my first real conversation about what it meant to be policy relevant. As I recall, I sat down across from Jeffrey Lewis in his cramped office on K Street not sure what we would talk about. Being unsure of what you want out of a conversation in Washington can go very wrong, but with the right person it can quickly turn into a revelatory experience. At the time, Jeffrey and I were working for the same organization, but lived in very different intellectual worlds. I had only recently graduated from the University of Chicago and was still in love with knowledge for knowledge’s sake. Jeffrey had already built his very successful blog, armscontrolwonk.org, where the nuke policy community debates the finer points of what the US should do about the topic du jour and the validity of the intelligence on which those decisions are being made. In the first few moments of our conversation, it became readily apparent that what I considered policy relevant was painfully naive to a Washington insider. Jeffrey asked me to name the officials who implement US arms control and nonproliferation policy and I couldn’t name a single one. I was still holding onto the mistaken notion that being policy relevant actually meant saying something meaningful about policy. In my case that meant arguing about whether and how the system of deterrence and nonproliferation works. What I learned from Jeffrey is that the process of becoming policy relevant begins with knowing your audience. There was a lot more to my conversation with Jeffrey that I will save for another post; He was in no way reducing policy relevance to the idea of influencing individual policymakers. Really his question about who holds what position was simply a rhetorical device to prove a larger point about the relationship between policy and politics. I’m still collecting answers to what it means to be policy relevant (or politically relevant, maybe?) from others in Washington. I think this is an important question for the project of nuclear philosophy and am curious what you have to say on this topic. A contact in the Pentagon asked for a cheat sheet on nuclear technology. Putting something together that is technically correct and concise, while introducing all the policy-relevant terminology is a challenge. Matthias, John, any suggestions/corrections? There are two “pathways” to the bomb: uranium enrichment and plutonium. Natural uranium is made up almost entirely of two isotopes, one of which is the slightest bit heavier than the other. Only the lighter isotope, U-235, is useful for sustaining a chain reaction. 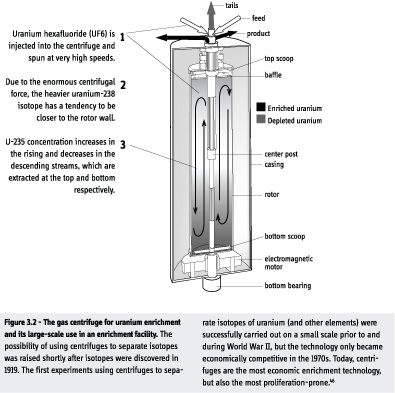 Fortunately, at least from a nonproliferation perspective, natural uranium is 99.3% U-238, so in order to be weapons usable it must be “enriched” to separate out the desirable U-235 from the undesirable U-238–or fed into a Heavy Water Reactor, which I will come back to when I explain the plutonium pathway. Because U-235 is lighter than U-238, when you spin UF6 the heavier U-238 flies toward the outside wall and collects in the bottom of the centrifuge. The “depleted” stream of U-238 can then be funneled out. The enriched uranium, U-235 along with the remaining U-238, is siphoned off and into another centrifuge. The process is repeated thousands and thousands of times until the desired level of enrichment is achieved. Plutonium, in theory, could appear in nature. However, in practice, it must be generated through a nuclear chain reaction. All nuclear reactors produce plutonium, but there are many kinds of reactors and some are better for plutonium production than others. If a country wants to build a nuclear explosive device without having to enrich uranium, it can use a heavy water reactor. Unlike light water reactors, which are cooled with regular old H2O, heavy water reactors are cooled with water that has an extra isotope of hydrogen (D20), which enables natural uranium to sustain a nuclear chain reaction. The plutonium necessary for a bomb can then be separated out from the spent fuel. This is what North Korea did. Iran has uranium enrichment facilities, a heavy water research reactor and another under construction, and light water reactors for training purposes and energy production. For more information than you will possibly need on Iran’s nuclear sites visit ISIS’s page on Nuclear Iran. Derek Gregory has been reading Chamayou’s text “Theory of the Drone” and posting an excellent series of accompanying comments. What I like about these posts so far is that they highlight the role of the drone in the shift from total war as nuclear war to total war as a never-ending manhunt. Nuclear weapons were the ultimate fetish object in the drive to maximize indiscriminate destruction. The drone is poised to become the technological fetish object for the ultimate form of discriminate war. New technology does not negate the fundamental necessity of protecting the citizenry from an intrusive government. If the genie is out of the bottle, then there has to be away to regulate and oversee its power. Atomic energy, for example, has always posed enormous difficulties of regulation and oversight. However inadequately those problems have been addressed, at least they have periodically been the subject of public debate. There has been general agreement that the destructive power of atomic energy must be contained by vigorous oversight. The framers of the constitution could not anticipate the Internet or the myriad technologies of surveillance developed by the national security state, any more than they could anticipate nuclear weapons. But they did anticipate the abuse of government power, and they institutionalized restrictions on it in the founding document of our nation. This analogy is puzzling. While it is true that the mandate of the US Nuclear Regulatory Commission is to “ensure the safe use of nuclear energy while protecting people and the environment,” the better analogy is to the nuclear weapons complex. The need to protect information about the nuclear weapons technology was used to justify the secrecy of the Cold War security state. In fact, there was a complete lack of oversight of nuclear programs and how they were funded, and the techno-scientific discourse of nuclear deterrence theory replaced public debate about the size of the nuclear arsenal with expert judgements. In that sense, what is happening today with the creation of the surveillance state is an extension and deepening of the secrecy and security culture that was already built on a technologically deterministic narrative about nuclear technology during the Cold War. The problem with flipping Lears’ example is that it places me uncomfortably on the side of the technological determinists against whom he is arguing, where I most decidedly do not want to be. 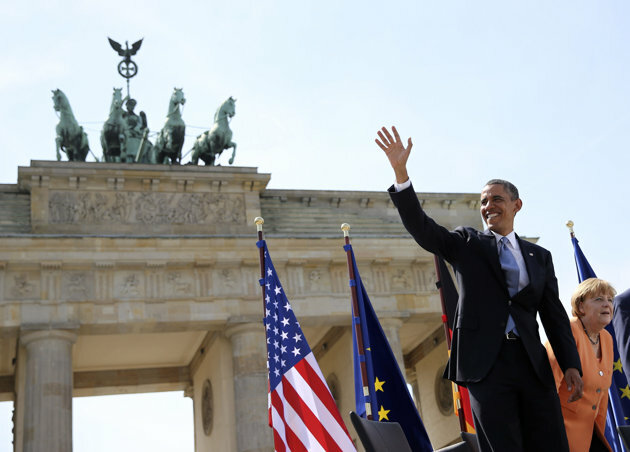 Last week on June 19th President Obama stood on the eastern side of Berlin’s Brandenburg Gate to announce that he would reduce the US deployed strategic nuclear arsenal by a third to approximately 1,000 weapons. His announcement confirmed rumors that the Obama administration plans to obviate a difficult treaty ratification process like the one the administration went through with the New Start Treaty in 2010. Although the reductions will be undertaken in concert with Russia, Obama is seeking a pact, not a treaty. This a significant change from business as usual, but it didn’t make much of an impact on the German public. The coverage of Obama’s visit was dominated by questions from reporters about the PRISM program–the US National Security Administration’s post-industrial spying machine. I happened to be in Germany at the time of Obama’s speech visiting Paderborn for the conference on Tracking, Targeting and Predicting. Presentations at the conference fell into one of two groups: papers on mechanisms of public data collection and its manipulation, and papers on the role of perception and survellience in military training and operations. There were an impressive range of topics covered: the history of visual perception and the “martial gaze,” DHS Fusion Centers, the Revolution in Military Affairs, biometric identification techniques, public health data tracking, US survellience of internet data, and the mania of “Drone-a-rama.” I presented a paper I am co-authoring on US Joint Special Operations and “zone warfare.” In addition to the German presenters, there were participants from the US, England and Canada. Most of the case studies focused on US programs and behaviors. There were no presentations on nuclear weapons. My expereince at the conference was consistent with my past impressions of Germany. Every time I visit I am always struck by how different the center of gravity is in public conversations about national security. Germans have a different perception of risk than Americans and a stronger aversion to the language and practice of targeting. Under Angela Merkel Germany has asked the US to remove its Cold-War era nuclear weapons from its terrirory, began the process of phasing out nuclear energy, maintained the value of personal privacy as a social good, and continued to express zero-tolerance for torture of any kind. In contrast, Obama’s nuclear reductions appear modest, his justifications of the PRISM program with his back turned to ‘the West’ provokes the wrong kind of Cold War symbolism, and targeted killings continue to proliferate. There was something incredibly uniting about the radical equality of the threat to humanity posed by nuclear war, and President Obama renewed a collective sense of purpose in countering that threat when he held out the promise of ‘a world free of nuclear weapons’ in his 2009 speeach in Prague–especially since most of us have lived our entire lives as “countervalue targets” in a nuclear war plan. However, it turns out that we are now targets of a different kind. In constrast to the collective threat of nuclear war, we are caught up in a general cultural trend toward the use of social data to single out individuals based on demographic data and past patterns of behavior–from identifying terrorists to the Obama campaign’s “precision targeting of persuadable voters.” Usually we think nothing of it, but presiding over this shift in security culture is likely to be the defining feature of Obama’s presidency. We are all ‘high value inviduals’ in at least one of Obama’s targeting plans.